Potatoes on the Radio video. 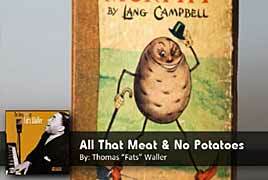 Includes photos of potato-related artifacts in the collection of Jeffrey Allen Price and The Potato Museum, with clips from the following songs: One Potato, The Elite All That Meat and No Potatoes, Fats Waller Let's Call the Whole Thing Off, Ella Fitzgerald and Louis Armstrong Potato Chips, Slim Gaillard Milk Shake and Potato Chips, Bob Marley and The Wailers Diggin' My Potatoes, Lead Belly Mashed Potato Time, Dee Dee Sharp Potato Song, Cheryl Wheeler Fried Potatoes, Maddox Brothers and Rose. Time-lapse footage of Jeffrey Allen Price and J.A.P. 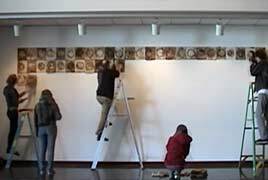 Studio crew installing Absorption Modules 8 x 28, at Omni Gallery in January 2010. The installation is on view January 10 - May 14, 2010 at Omni Gallery in Uniondale, NY. A few short bonus interview clips from 2008 interview. J.A.P. 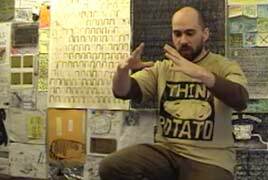 explains his position as a Potato Keeper, demonstrates how to make a Potato Venus, shares his new Potato Antenna Cowboy Hat, and talks about how Potato Art operates within a wide Conceptual Art spectrum. 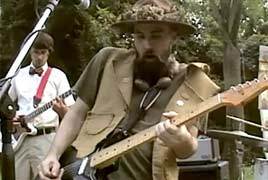 Clip from an interview with Potato Musician Jeffrey Allen Price discussing some of his favorite Potato Songs. 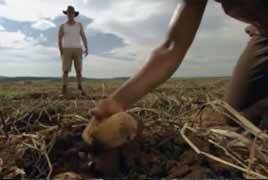 Features a short clip of God Potato putting a Potato Punk Rock twist on Neil Young's classic song, T-Bone. "Got Mashed Potato/Ain't Got No T-Bone". J.A.P. demonstrates his ability to free an image of Jay Leno from a potato. (Ends up carving two). 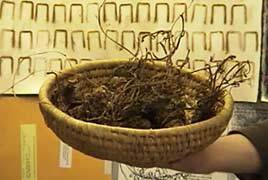 Features background music of Tater County playing a cover of the Kinks "Hot Potatoes". 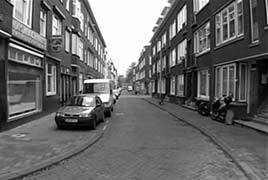 This television news segment features interviews with Jeffrey Allen Price (in English) and Michiel Brink (in Dutch). This was a story about Aardappelasiel (Potato Asylum) a collaborative potato-themed exhibition installation by Price and Brink at HogeDRUKgebied gallery in the Oud Charlois district of Rotterdam. 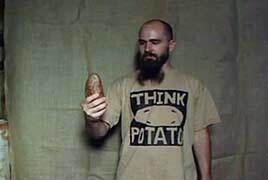 The background song, “THINK POTATO” was written and recorded by Michiel Brink and de Aardappeleters (The Potato Eaters) as a tribute to Jeffrey Price and his THINK POTATO concept, 2003. 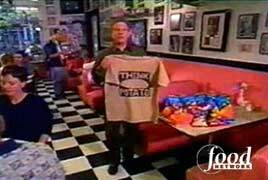 Potato Excuses #1-“My Plate is Full”"
Potato Excuses #2-"I've Bitten Off More Than I Can Chew"
"Think Potato Festivals II and III, 1998-99" and more. 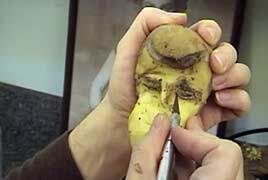 Feature segment on the Spud's Unwrapped Show of Potato Artist, Jeffrey Allen Price. 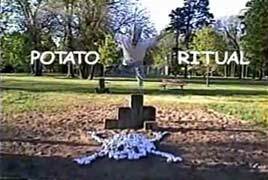 Includes an interview with the artist, installation images and scenes from his performance "Emergency PotatoFete", September 2001.